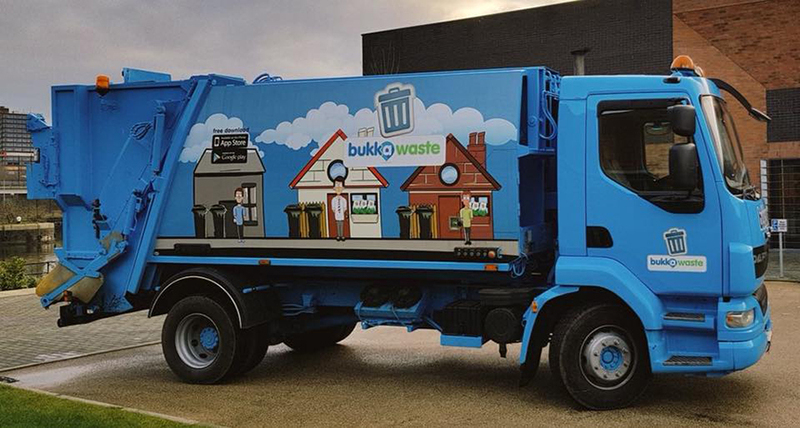 Following 12 months of in-depth research and development, Bukkawaste has launched the online service and app in response to the trend of reduced waste collection services across Greater Manchester and the increased demand by consumers. With mountains of filthy rubbish being left spilling out of bins around Manchester and the North West showing a decrease in recycling of waste over the past 12 months* it is clear that there is a real problem. Joe Rogers, founder and managing director of Bukkawaste said: “I’ve spent my whole career in the waste industry and over the last couple of years have started to see a real problem emerge. Councils are reducing services and consumers are suffering and need more. While Trafford council is tackling the problem well – other areas across the region are being left behind and something needed to be done. The Bukkawaste digital app is the first online waste collection service which allows consumers to pick a day and time that suits them for their waste to be collected from their home. The app is easy and simple to use. Once downloaded, a date and time for collection can be picked and then a notification will be sent to confirm the booking, as well as a reminder closer to the time. The service is available for a set price and no contract is required so is completely flexible to meet any requirements. Anyone within Greater Manchester can download the app and access the service.